In the age of the internet, marketing has changed a lot. What once was the business of billboards and TV advertisements has increasingly become the realm of banner ads and image sharing. Since the advent of Facebook, marketing has been irrevocably changed. Facebook presents a multitude of priceless opportunities for marketers for many reasons, not the least of which is the advertising capabilities. In other words, you must ensure that your ad presents the right offer via the right message to the right person. If you are missing even just one of these vital keys, your ad might be made completely ineffective. Presenting the right offer to the right person without the right message, maybe poor copywriting or just a bad advertisement in general, people won’t even bother to look at your ad even if it’s something they would want. Making sure you have an ad that grabs their attention and holds it long enough to present them with your offer as persuasively as possible is an integral part of successful marketing. Using the right message to convey the right offer but targeting the wrong person will result in low conversion. For example, advertising steaks in a vegan magazine or female birth control in a men’s department store would likely not convert to many sales. Making sure you target the right audience for your product on has never been easier with Facebook’s keyword searches, ‘liked’ pages, and other ways to filter for people interested in similar products. Make sure you explore and utilize these helpful marketing features to the fullest. Finally, targeting the right people via the right message but with an unexciting offer will also lead to low conversion. Maybe people love your ad but when they see what you’re offering, they will rarely decide to follow through. 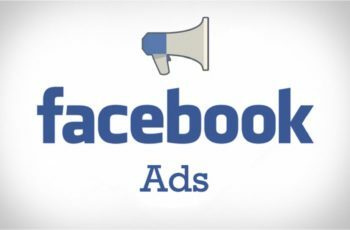 In order to incentivize people to seal the deal after loving your Facebook ad, make sure the offer you are presenting to them at the end of the ad is something they will want to take you up on. You’ve got to give a little if you want to get some back. Small sacrifices can lead to big sales! If you said ‘yes’ to all three, then you have successfully implemented the ‘TOM’ principles! With these important rules in mind, you should have no problem enchanting your target audience with an offer they won’t want to refuse!